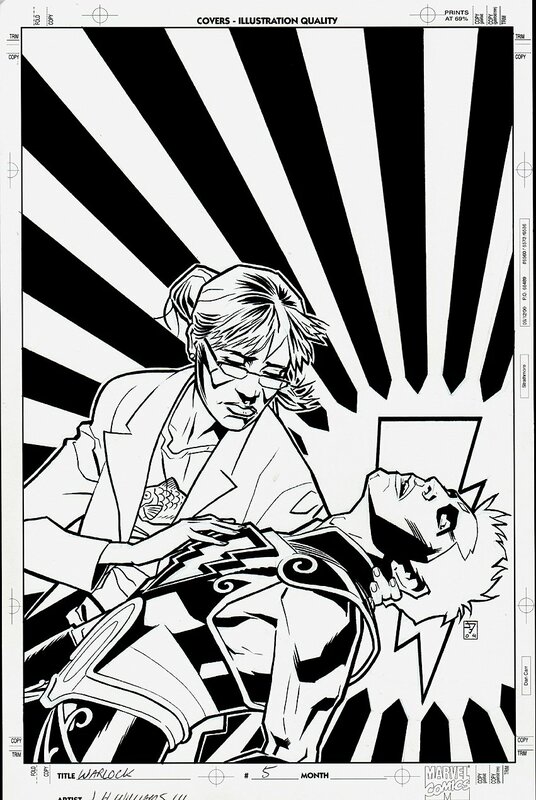 Check out this very nice Warlock cover, which was penciled and inked by J. H. Williams! This nice cover was Created to usher the world into a new age, Adam Warlock is the salvation of a world on the brink, but can this man- god grapple with the world's woes, or will his judgment be the end of everything? ALL art on our website (including this one) are able to be purchased with VERY fair time payments, and trades are always considered towards "ANY" art on our website! Just send us an email to mikeburkey@aol.com and we can try to work something out.